Should You Become a Certified Bookkeeper? 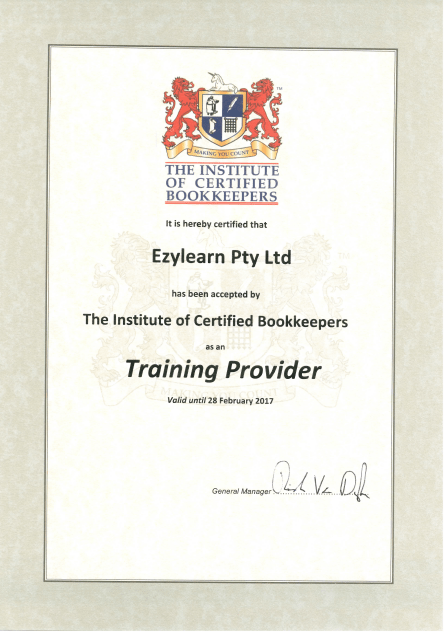 WHEN EZYLEARN FIRST BEGAN offering training in MYOB accounting software, the bookkeeping industry was not regulated. This meant that any person could learn to use an accounting software program and declare themselves a bookkeeper. This is even true today BUT there is an extra layer of compliance if you want to become a Registered BAS Agent who lodges Business Activity Statements (BAS’s) on behalf of your clients. There has always been tension between the professional accounting industry and bookkeepers about who should be regulated and what type of work can be done by bookkeepers or accountants. When the Tax Practitioners Board (TPB) started the Registered BAS Agents Program it set clear boundaries about the circumstances by which a bookkeeper needs to be regulated. Anyone responsible for submitting end of period (monthly, quarterly or annual) financial information to the ATO now needs to be regulated by the TPB. However, bookkeepers don’t need to lodge BAS’s — rather, they can work with a BAS agent or accountant who then lodges the financial information. EzyLearn was one of the first companies to offer online MYOB training courses (we even offered face-to-face seminars and courses way back when MYOB was called Data Tech!) and we believe that regulations are important to keep an industry professional. 123 Group is a Registered BAS Agent company which, through the Bookkeeping Academy (BA), helps individuals learn the skills to evolve from a junior accounts person into a confident, qualified bookkeeper. We help our bookkeepers understand the importance of solid qualifications, excellent communication, continuing professional development (CPD) and commitment to managing their time efficiently and effectively in order to become a productive resource either in the company where they work, for the Registered BAS Agent or Accountant they work with, or for their clients as independent contractors or teleworkers. EzyLearn is the Training Partner for 123 Group Pty Ltd and, as a result, our students receive significant discounts to join and be a part of the Bookkeeping Academy Certified Bookkeeper program (BACB). Membership with other accounting industry organisations like ICB, ABN, AAT, and others, is optional for bookkeepers and BAS agents. However, they are all designed to help junior bookkeepers gain and understanding of, and perform to, Tax Practitioner Board standards. Following this, you need to expand your client base, perform work at the highest quality, manage your time, invoice accurately and ensure credit management procedures are followed. Don’t re-invent the wheel: if you want to explore the opportunities to run your own business as an independent bookkeeping contractor check out National Bookkeeping.